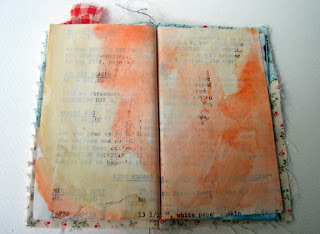 Last week I came across a stack of fabric pages I was going to make into a fabric chunky book. I decided to make them into wee scribble books instead. There aren't a ton of pages in them so I was able to just zip them through my sewing machine rather than get too finicky about binding. 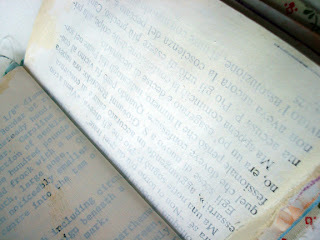 The pages inside are from different sources (antiques newsletters, typing textbook, novels, foreign language books) that have been given a coat of white wash. They are put in any which way... sideways, upside down, and have torn edges rather than crisp neat sides. A few of the pages have some colour splashed in for good measure. I've also been working on these clothes pegs. 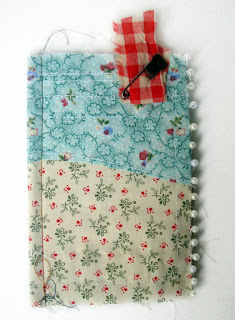 I swiped this idea from someone far more brilliant than myself :) So far I've done 50 of them but I know a few people who love their laundry lines so I think I might have to buy a few more packages of pegs. And seriously? 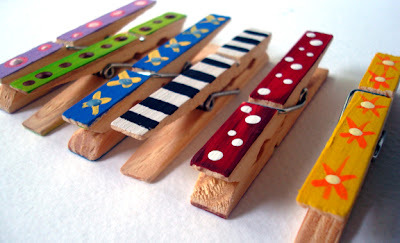 How wonderfully quirky and whimsical are clothes pegs to begin with? 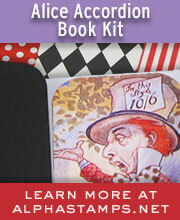 Love the scribble books! So handy to have in a purse or pocket.